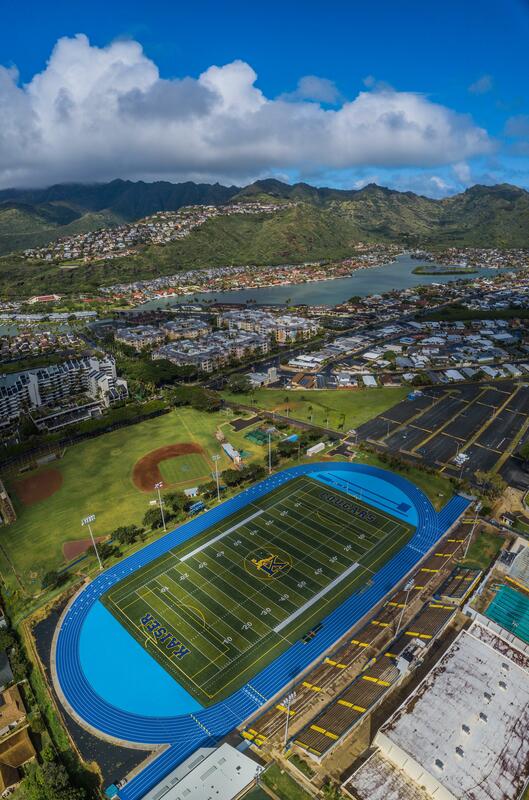 ...from private, public and neighbor island school were ready to compete. Each team was divided into four groups and they competed in Round Robin style. 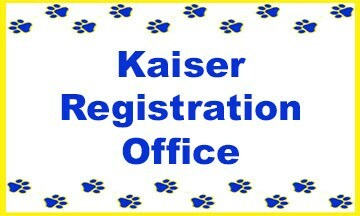 Team Kaiser placed 2nd in their division, enough to move on to the Championship Round. 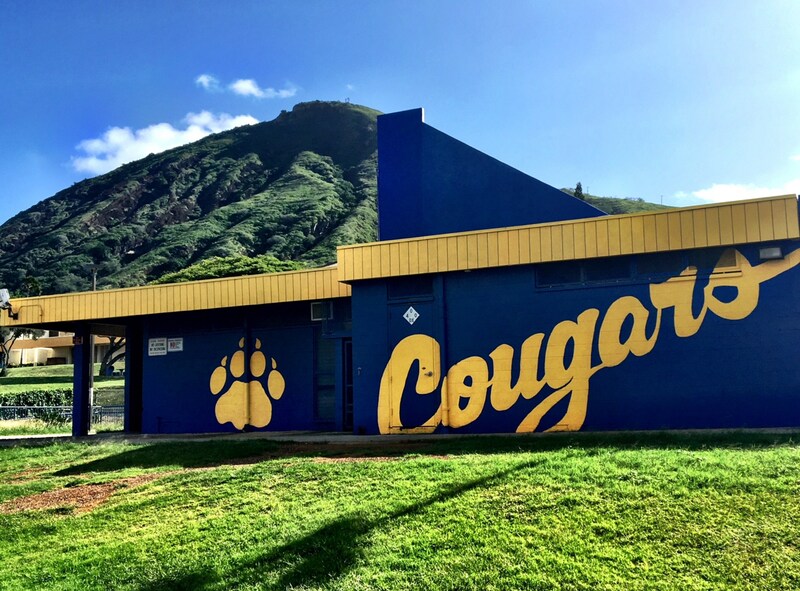 In their first round, Cougars faced a tough Punahou team and fell out of the finals. They did end up in 5th place and earned $100 for Kaiser! 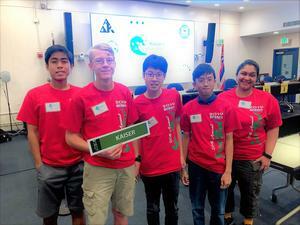 Congratulations to Team Kaiser: Jaron Schreiber, Tony Ou, Tyson Trimble and Jeong Yun! 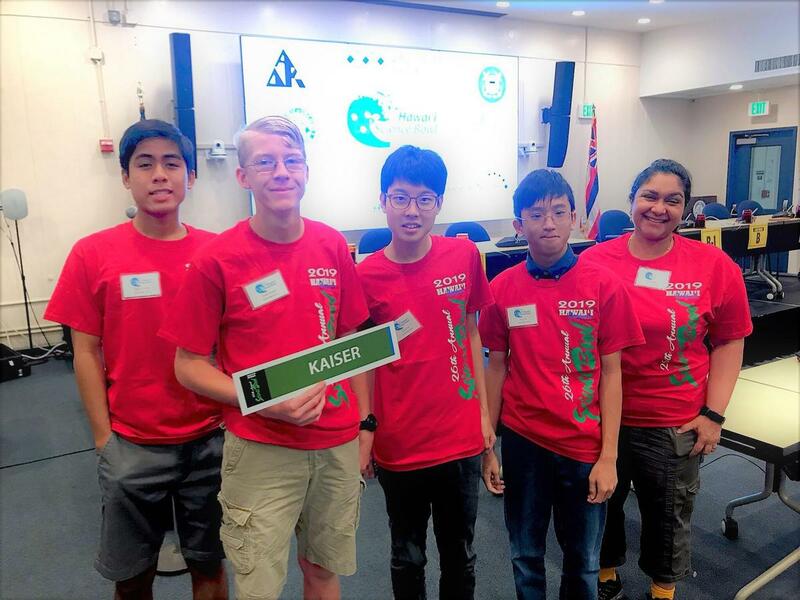 It is said on their website that Hawaiʻi Science Bowl alumni include numerous Presidential Scholars and graduates from of the nationʻs most highly respected educational institutes including MIT, Harvard, California Institute of Technology, Stanford and Carnegie Mellon. 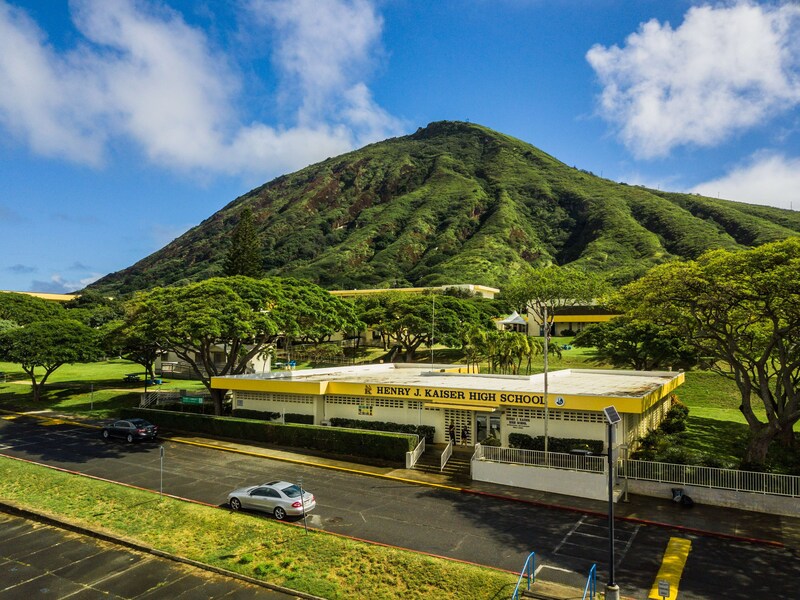 Hawaiʻi Science Bowl started in 1994. 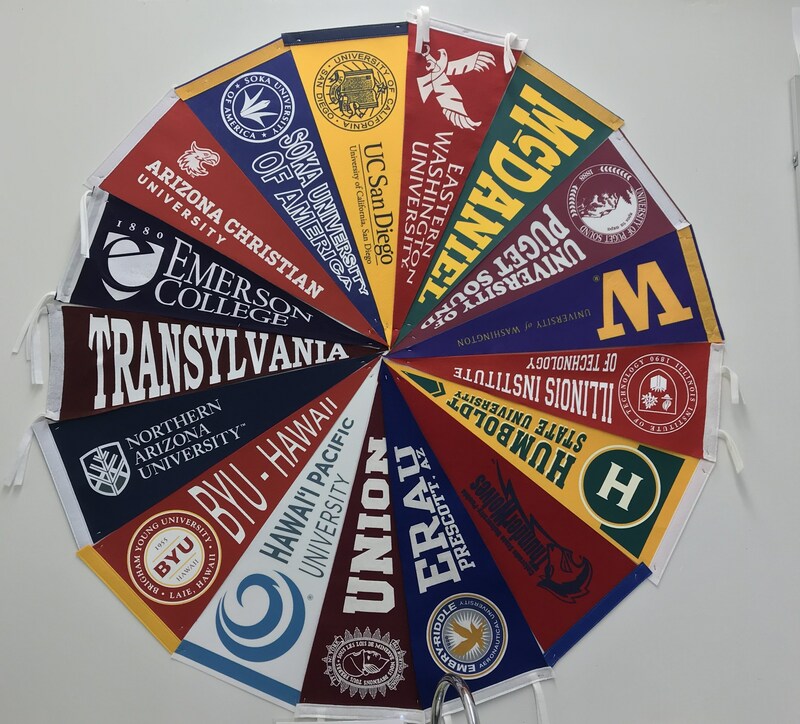 Since then over 50 high school and 1,900 students have participated. 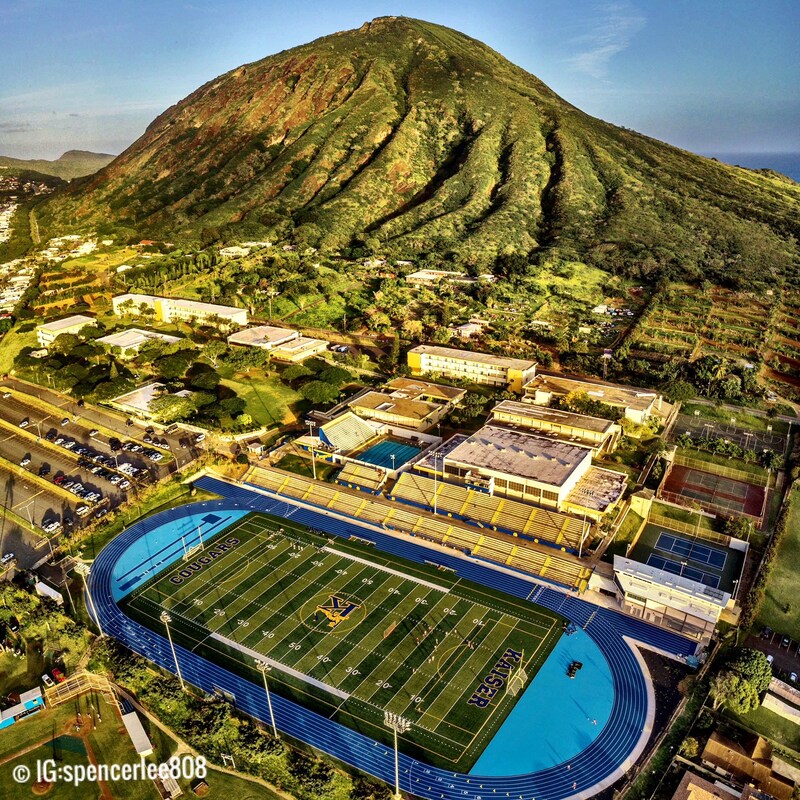 Their hope is to transform todayʻs brightest young minds into tomorrowʻs scientific leaders. Accepting the award from Dr. Lauren Kaupp, Hawaii DOE State Science Education Specialist.